Over and over again we tell people to make certain the water testing lab they choose has the proper accreditation… because we know for a fact that all labs do not perform equally! As an example, check out this article on a lab in Pennsylvania that failed to comply with established procedures and as a result will now lose most of its accreditation for drinking and waste water testing. Oh, and they will have to pay a $20,000 fine, too. WILKES-BARRE, PA, May 10, 2012 — Northeastern Environmental Laboratory (NEEL) of Scranton will pay a $20,000 fine and voluntarily surrender the majority of its accreditations for drinking water and wastewater management and testing after Pennsylvania DEP inspectors found several violations. Discovered during non-routine visits in September 2011, violations included failure to properly train staff; failure to oversee and supervise testing of water samples; failure to maintain records; and failure to adhere to proper collection, receipt and handling of samples. So… what have we learned from this? Nothing. We already KNEW to check a lab’s accreditation before allowing them to test a water sample and render a professional, analytical opinion. We posted THIS article as a reminder to everyone else. 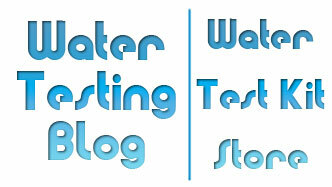 Need your water tested by a certified water testing laboratory? 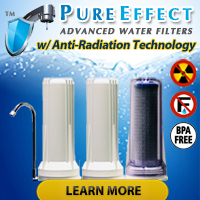 If so, you may want to take a look at the WaterCheck Water Test that tests for 103 potential drinking water contaminants (including a number of commonly found pesticides and VOC’s)… and gets analyzed by a certified water testing laboratory. View National Testing Laboratories’ State Certifications.